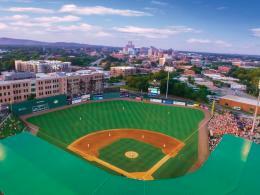 A mini replica of Boston's Fenway Park, the host field of the Greenville Drive (Class A affiliate of the Boston Red Sox) features a 30-foot-high "Green Monster," seats for more than 5,000 fans, and a hand-operated score-board. The farthest seat is only 15 rows away from the field! Admission Price: The Red Sox of the future play at the Fluor Field with Lawn and Deck Seats starting at just $8. 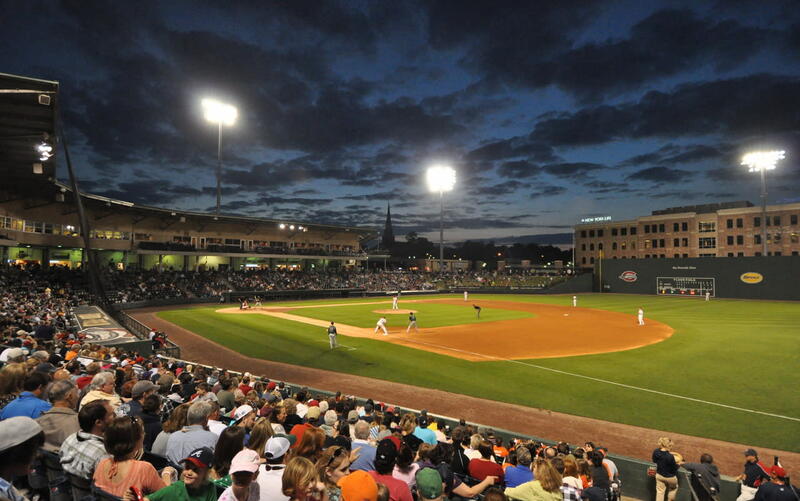 Description Spaces for hire include: Fluor Field, the The Iron Yard 500 Club, the Double Suite, The Clubhouse, The Front Porch, The Champions Club presented by Hubbell Lighting, and the concourse..
Diamond days are here again! 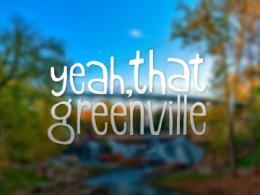 This six-day, NCAA tournament brings the Southern Conference's best baseball teams to the local minor league field.